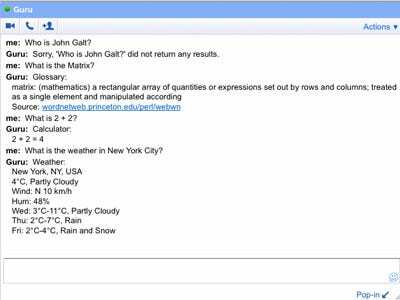 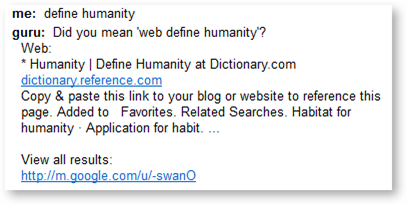 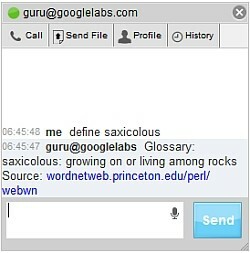 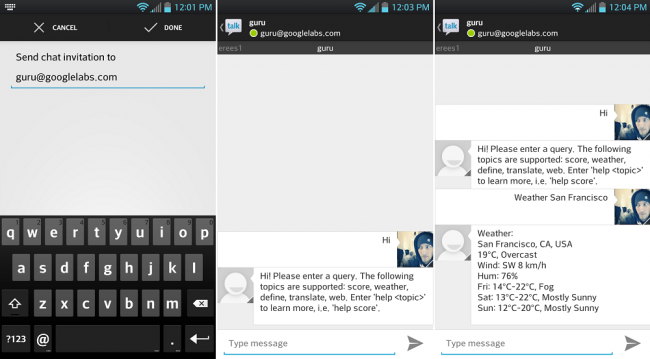 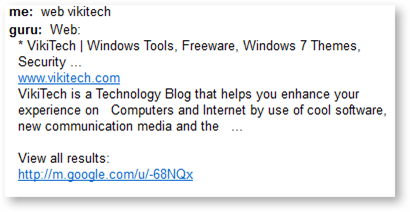 The Google launched Wednesday a new service questions and answers through your Gtalk. 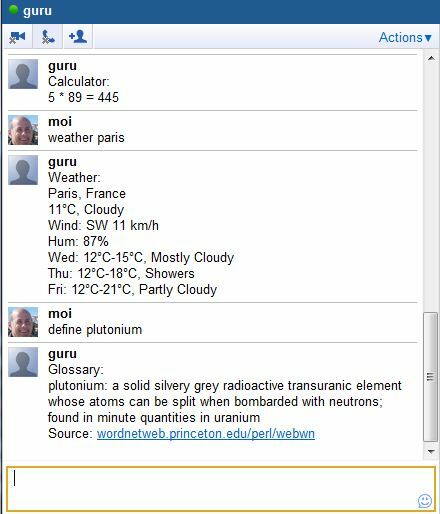 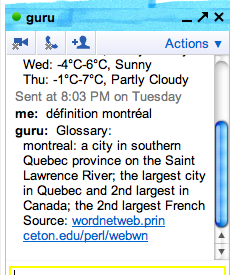 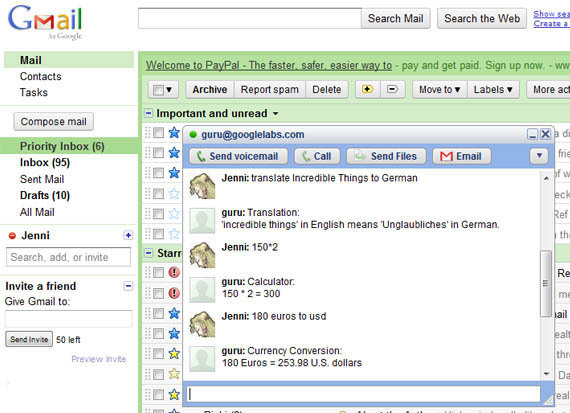 Called Google Guru, the service is a bot capable of providing quick answers to everyday questions such as currency conversion or lead games, for example. 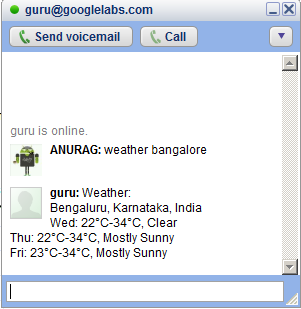 Those interested in using the service need only add guru@googlelabs.com on your Gtlak and check the commands available on your page on Google Labs. 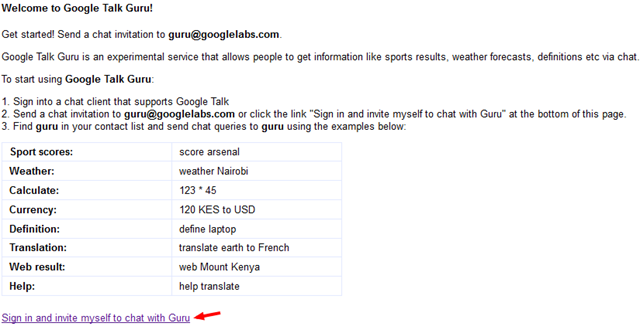 Google Guru – Le Google qui sait tout !